This Fall I am all about the combination of comfy & cute. And I am excited to share with you my new comfy cute destination - Redesigned by Two. This shop delivers items I want to live in this Fall, all for a teacher budget approved price! I love this dress, can't wait to share with you another staple piece I picked up & am already dreaming about my next acquisition - this sweater! Right now I am loving this swingy dress with bare legs & open toe booties, but as we prepare for the great Fall cool down, I can't wait to pile on the layers with leggings, over the knee boots & a fun vest! You can never go wrong with a t-shirt dress. I love the shape of this on you, super cute! i love those sunnies! and that dress looks so comfy! that dress is seriously ADORABLE!! You look so comfy but so freaking ADORABLE at the same time. Have a good weekend! you look effortless and gorgeous! This dress is SO cute and comfy looking! The sunglasses are beautiful! 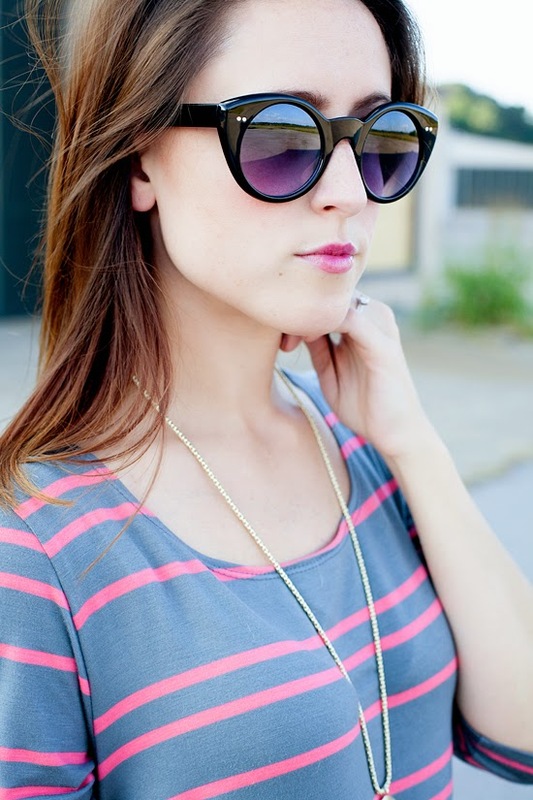 I love the pops of pink with the stripes. Swing dresses are perfect! Love this. 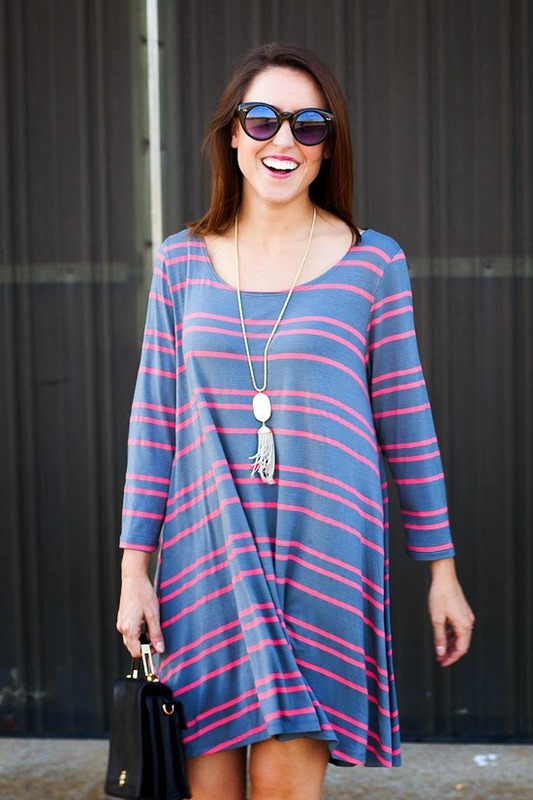 This dress looks adorable and so comfy! I love these fun pictures of you as well. Hope you are well, girl!